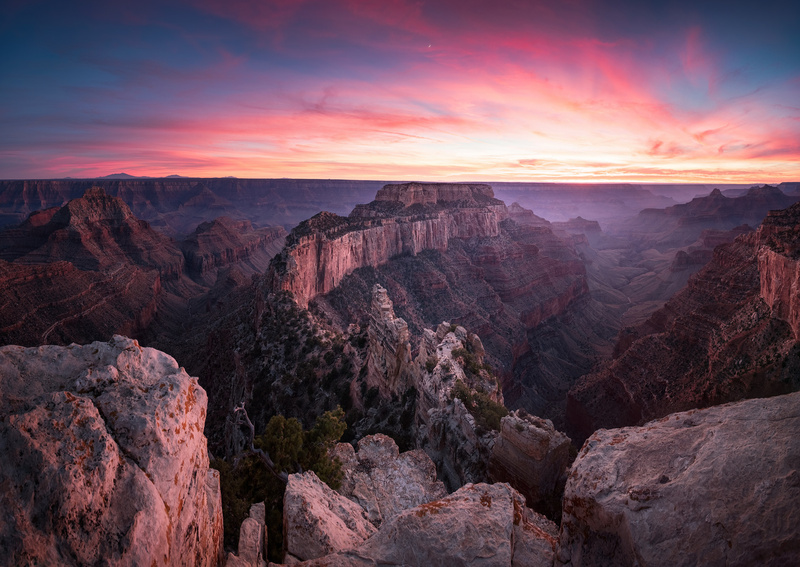 Cape Royal is the southernmost viewpoint on the North Rim, and it has the widest panorama of any Grand Canyon overlook - the great gorge occupies about 270° of the horizon. Main feature is Wotans Throne, an isolated, wooded mesa at the same height as Cape Royal but surrounded by vertical cliffs and so completely inaccessible. Arizonaonian here...got to give the love!